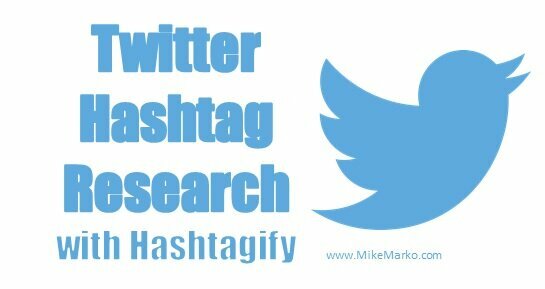 “Using Hashtagify for Twitter Hashtag Research Overview” written and video by Mike Marko. Are you looking to get better with your social media marketing using Twitter? 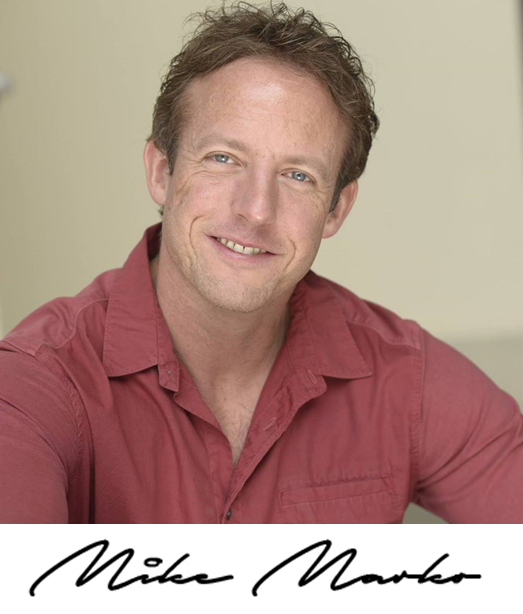 Are you using Twitter right now and you’re not getting the results you want or expect? I was in your place not that long ago. And to be completely honest… “I didn’t get Twitter… at all!” half a year ago. I didn’t understand why I should use it. Then that all got turned around. Twitter is now one of my favorite sources of lead generation. The reason was that I figured it out! That’s why today, I’ll be talking about how to do Twitter hashtag research using Hashtagify. The following video gives you an introduction to doing Twitter hashtag research using Hashtagify. At least that is how Google defined hashtag. I like to describe them as being similar to keywords in SEO. They are what Twitter is going to use to help people find your content. Why Use Hashtags in Twitter? You want to use hashtags on Twitter for the same reason you have keywords in a blog post. If someone is searching for “travel blog” on Twitter, then the results that show up are going to be related to tweets with #travelblog. That is why hashtags are extremely important to have included in your tweets…. they help people find your Twitter content. How Many Hashtags Should You Use In A Tweet? Well if they are used to help people find your content, you’ll want to use as many as a tweet will allow characters… right? Twitter’s search algorithms will actually penalize you if you use more than three hashtags… it’s very similar to how a blog post will get penalized for keyword stuffing. Twitter realizes you are just doing whatever you can to get found and are not adding to the Twitter experience. It’s all about the user’s experience on Twitter. What Hashtags Should I Try To Use? You want to try to use hashtags that will help people find your content… hashtags that are RELEVANT to the content. For instance, if your hashtag is #travelblog it better be for a tweet that related to travel blogging. If instead, you have it on a raw food related tweet, then the visitor will not appreciate being misled and you have effectively wasted your use of that hashtag. So use relevant hashtags so people search for your tweet content find it! Twitter is a powerful platform for marketing your business or service. Be sure to use hashtags effectively to help ensure you grow your following and interaction with people interested in your content. Some basic Twitter hashtag research can help dramatically improve your Twitter marketing results. Be sure to check out my Comprehensive Guide to Twitter Marketing for more tips. If you want help growing your Twitter following faster, feel free to contact me and we can talk about the different options we offer. If you are interested in learning how to make money online, click the following links to learn more about the IPAS2 and the TotalShortcut system, and get the information to form your own opinion from this Empower Network Review and Jeunesse Review.